Flamingo Travel Candle Tin Shop the largest selection of Michel Design Works travel candles and more - Flamingo Collection. Plus enjoy free ground shipping on orders over $50. 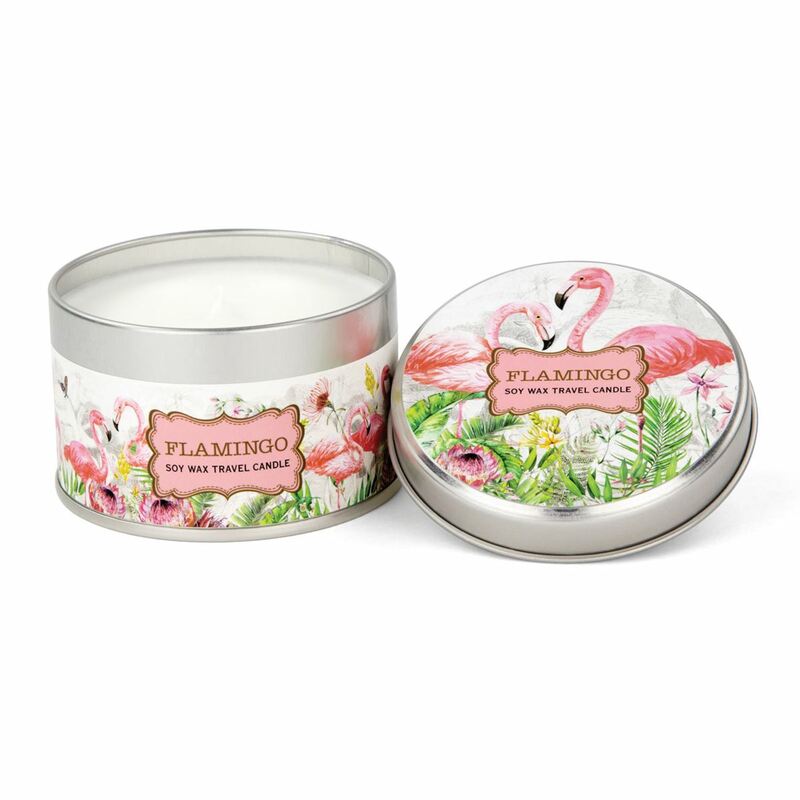 These handy lightweight candles move easily from room to room - and outdoors to a deck or patio, too. Made of soy wax for clean burning.